Tampa Bay foreclosure defense lawyer Mark Stopa has violated numerous rules of professional conduct and caused two clients to nearly lose their homes because he failed to tell them about settlement offers from their banks. Those were among the preliminary findings of fact released late Thursday by Pinellas County Circuit Judge Linda Allan. She found that the Florida Bar had proved five of the six misconduct counts against Stopa during a week-long hearing in March. In an unusual move, Stopa, 41, has posted a message on his Facebook page asking that clients happy with his services attend a hearing Monday that will help determine what punishment he should face. Penalties range from a reprimand to permanent disbarment. Stopa said today that he expects the courtroom to be full of supporters, including several judges and lawyers.
" I think that the banks want to be able to take me out because I’ve lost them millions of dollars," said Stopa, who has represented thousands of homeowners. Saying there is a common belief that delinquent borrowers have no rights, he added: "I am proud to have worked tirelessly to help such people throughout the most difficult times in their lives when so few others are willing to do so." In a case involving homeowner Rosalie Coyne of St. Petersburg, the judge said Stopa violated several Bar rules including one that prohibits conduct involving "dishonesty, fraud, deceit or misrepresentation." 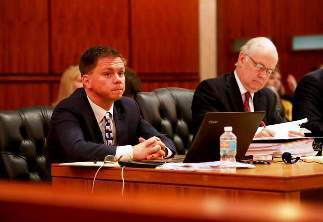 Foreclosure attorney Mark Stopa, left, sits with defense attorney Donald Smith while attending a hearing in March before Pinellas Judge Linda Allan at the Pinellas County Courthouse. Allan has found that Stopa violated numerous rules of professional conduct and caused two clients to nearly lose their homes because he failed to tell them about settlement offers from their banks. According to the Bar, Coyne paid Stopa a total of $2,675 although he never met with her, spoke with her or attempted to negotiate a modification. Coyne told his firm she wanted to keep her house but unbeknownst to her, Stopa and an associate worked out a settlement with Wells Fargo that included a cash-for-keys payment of $1,500. The associate told the bank that the payment should go to Stopa’s firm, not to Coyne. Stopa falsely claimed that Coyne couldn’t sign the settlement paperwork but had agreed to the terms, the Bar said. On Feb. 13, 2015, the case went to trial: Coyne learned of the trial only because an acquaintance had spotted it on the court docket and called her. Stopa was not present when Wells Fargo’s attorney told the judge — with Coyne listening — that the parties had reached an agreement. Only then did "Ms. Coyne discover that (Stopa) had settled her case without her authorization and that she had 60 days to vacate her home," the complaint says. Coyne fired Stopa, rejected the agreement and negotiated a modification on her own. According to the Bar, Maria Said of Orange County also nearly lost her house because Stopa didn’t tell her that Bank of America had approved her for a trial loan modification plan. Instead, Stopa pressured her into accepting cash for keys and falsely told her the bank had offered $11,000. In fact, the offer was for $15,000 — Stopa wanted to keep $4,000 for his fees, according to the complaint. 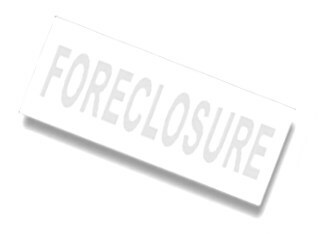 Only after the house was set for a foreclosure auction did Said learn about the modification plan. The sale was canceled, Stopa withdrew from her case and she negotiated a modification on her own. Stopa also was found to have violated Bar rules in his conduct before three judges, two of whom testified last month that he was so "rude" and "belligerent" that they threw him out of their courtrooms. In another instance, Stopa said he did not know where a client was even though he knew she was in the Hillsborough County Courthouse and that Circuit Judge Gregory P. Holder had ordered her to appear before him. Stopa "engaged in conduct contrary to honesty and justice by knowingly misstating his client’s whereabouts and disobeying a tribunal’s orders and directives," Allan found.